Savvy Spending: Kroger: Free M&M's Candy Coupon! Clip and use by 10/19! Kroger: Free M&M's Candy Coupon! Clip and use by 10/19! 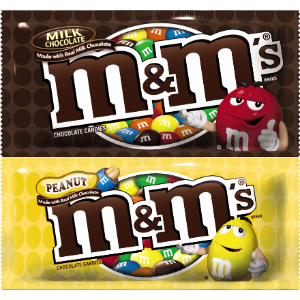 You can load an eCoupon to your Kroger Plus loyalty card valid for one FREE M&Ms Candy 1.14-3.5oz – any Variety!